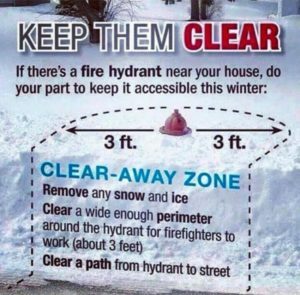 Our local fire departments would like to remind residents that during the winter, please be attentive to shoveling around fire hydrants so they can be seen and utilized, in case of emergencies. – Thank you. 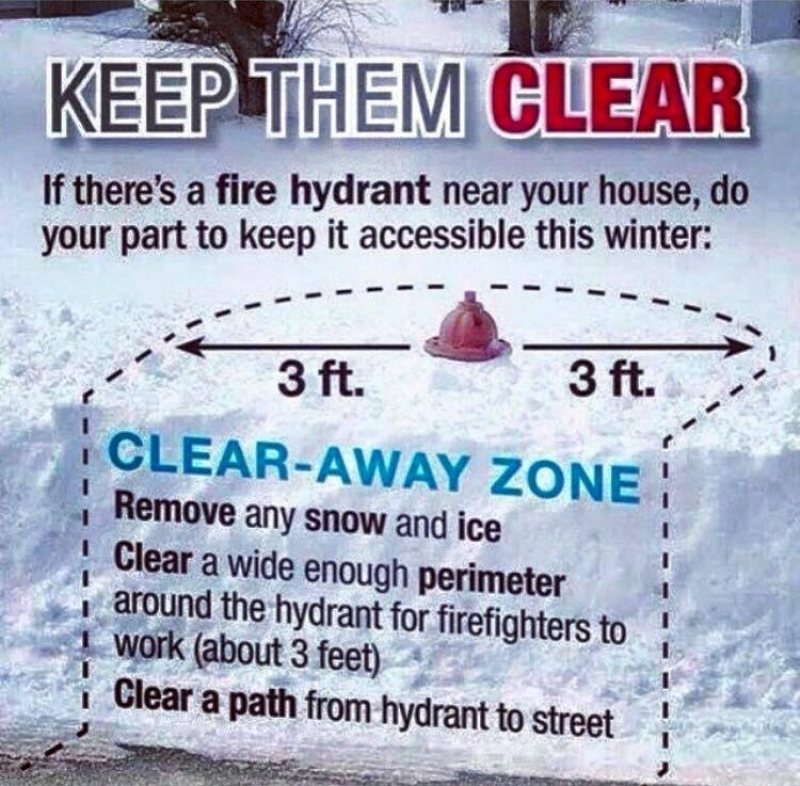 Remove snow and ice within a 3-foot perimeter of the hydrant. Shovel a pathway from the hydrant to the street so firefighters can access it.